Hello there. On this blog, i will try to compress and collect any available engineering jobs out there with emphasis on the entry level. note: I am in no way related to these job hiring poster. For purpose of practice, I am giving a sample .bak file of the structure with 2-part insulators. Please do note that you may only use it as a guide in making models as some of its values were used only for illustrative purposes. You are encouraged to improved on it and do anything on it. I do appreciate feedbacks and comments though, as well as suggestions to improve upon. On this tutorial, we are to model a structure that is consisting of a steel pole, with construction made up of 2-parts insulators. We will model the structure from a drawing to a .pol PLS-POLE file that we can use for analysis and use in PLS-CADD software as well. 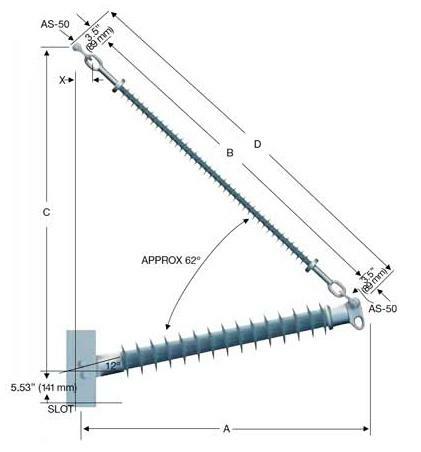 On this tutorial, we are going to create or model a braced post insulator using PLS-POLE. 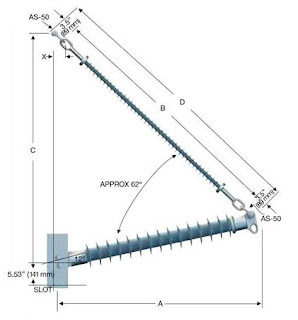 It is a 2-part insulator consisting of a post insulator supported by suspension insulators. It uses a traditional fixed base line post. The longitudinal strength is limited to the RCL rating of the line post component. It generates high tower torque (Z-direction) under longitudinal loading. Submarine cable and the world's longest submarine cables were already discussed beforehand. One might wonder, what is the longest communication submarine cable in the world? The distinction goes to, FLAG (Fiberoptic Link Around the Globe), the system is organized, designed and priced to compete in the rapidly growing wholesale market for international telecommunications traffic. It is the longest man-made structure ever built, stretching 28,000 kilometers (17,000 miles) from the United Kingdom to Japan and linking Europe and Asia by way of the Middle East. FLAG can transmit more than 10 gigabits of digital information per second -- the equivalent of 600,000 simultaneous conversations -- over two fiber pairs. Further technical advances, including Wavelength Division Multiplexing, give FLAG the potential to double the capacity of most segments. FLAG construction was built on time (in 27 months) and within budget, at a capitalized cost of approximately $1.5 billion. And, unlike traditional cable systems, the entire FLAG system is monitored continuously from a single network operations center, which is located in the United Arab Emirates. Submarine cable system is one of the most common engineering solutions when distributing power or information in areas that are bounded by bodies of water, wherein overhead system is no longer practical. (More info in here). But have you ever wonder what is the longest submarine power cable that is operating today? One of the most challenging tasks in the effort to distribute power, is to transmit when the area is bounded by bodies of water. Examples of this are island states or countries, and their connection to the power grid, as to support their island mode generating capacities. Under normal circumstances, long distances and the presence of water beneath limits the practicality of putting overhead lines for the purpose. Thus, most of the time, engineers and builders turn to submarine cables. Submarine cables are cables that are laid beneath the sea, or any bodies of water to carry or transmit energy, data or both. It can be classified into Submarine Communication Cables or Submarine Power Cables. George Simon Ohm, the man behind the ohm's law is today's EE hero. The unit of resistance (electrical) is named after this man. 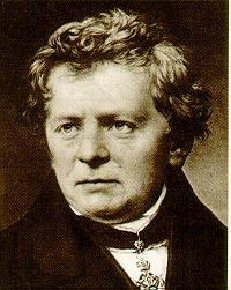 Georg Simon Ohm was born in Erlangen, Bavaria, on March 16, 1787. He first published the theory behind ohm's law in the book, Die galvanische Kette Mathematisch Bearbeitet. He may have died in 1954, but his works, and the ohm's law itself is mentioned and is being applied everyday. Everyone who is into Electricity and Electrical Engineering knows how important Ohm's law is. It is the single mathematical equation that describes the basic relationship of electricity and its elements. At its purest form, it is composed of only three figures; V=IR. It means that, the current flowing in the medium is directly proportional to the voltage and is inversely proportional to the resistance. Ohm's Law (V=IR) is as basic to the study of electronics, as Newton's Law (F=mA) is to classical physics. For that, we need to thank Geroge Simon Ohm. Yet, its beginning is somehow far from easy. In fact, early scientists, his colleagues apparently dismissed his work, causing him both poverty and humiliation. 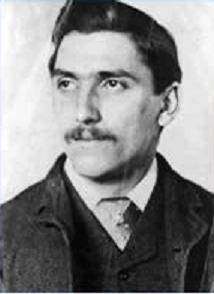 During his time, the approach to physics are less mathematical, and George Simon Ohm is one of those who used mathematics. For this, he was an outcast, and died a poor man. But today, George Simon Ohm could proudly say that he was, and is right all along. Protective relaying is one of the most important and highly technical fields in electrical engineering. It is so critical, since it involves the protection of our power system to abnormal conditions that might be subjected to our power equipments and apparatus. It is practically, system protection. Our power system, composed of our power equipment, transformers, generators, and transmission lines cost a fortune to construct and maintain. It is not rare to see generating plants, and power substations to cost in millions of dollars. Through an intricate manner, a device is used to act as an eye and brain in the protection system. They are called protective relays. In basic power system set up, power apparatus, like the generators and power transformers may be subject to abnormal conditions like fault. They might experience over current and over voltages. They are usually accompanied with protective equipment like power circuit breakers. But these breakers merely react to what information they are fed with. Protective relays acts as the “eye” and brain to the muscle of the circuit breakers. These relays therefore must be set and coordinated with, to ensure smooth, reliable, and correct power system protection. Below are three of the more popular references in basic protective relaying. This is very useful for upstart relay engineers and students as well who are interested in protective relaying. As a career, relay engineer is a good one, as it is one of the highly technical ones. Just always remember, Protective Relaying is one of the major keys in System Protection. Earlier on, we discussed a phenomenon called the Ferranti Effect. This is a rise in voltage occurring at the receiving end of a long transmission line, relative to the voltage at the sending end. This honor belongs to a British electrical engineer who promoted the installation of large electrical generating stations and alternating-current distribution networks in England. This electrical effect was named after Sabastian Ziani de Ferranti (1864-1930), who in 1887 became the chief engineer for London Electric Supply Corporation (LESCo), responsible for the design of their power station at Deptford, England. What led to this discovery was during the early days of Ferranti’s work at the Deptford Power Station, an anomaly was experienced when transmission line voltages remote from the generator rose to levels that damaged equipment. Intuition led engineers and operators of the time to think that voltage would decay over long distances, but this turned out to be true only when the line is loaded. Vs = Vr + (current x impedance), the receiving voltage is lower since it is the difference of the Voltage Sending and the voltage drop. The operative words here are, long transmission lines and disconnected load. Under no load conditions, theoretically, Vs=Vr. Furthermore, one classification of transmission lines is according to its length or circuit km. In long transmission lines, you are going to take into consideration the effect of capacitance and the charging current of the lines. Due to the voltage drop across the line inductance (due to charging current) being in phase with the sending end voltages, capacitance and inductance is responsible to produce this phenomenon. Like many other Web sites, transmissiondesignhub.blogspot.com/ makes use of log files. The information inside the log files includes internet protocol ( IP ) addresses, type of browser, Internet Service Provider ( ISP ), date/time stamp, referring/exit pages, and number of clicks to analyze trends, administer the site, track user’s movement around the site, and gather demographic information. IP addresses, and other such information are not linked to any information that is personally identifiable.
.:: Google's use of the DART cookie enables it to serve ads to users based on their visit to transmissiondesignhub.blogspot.com/ and other sites on the Internet. transmissiondesignhub.blogspot.com/ has no access to or control over these cookies that are used by third-party advertisers. folk, please bear on the admin on the delay of the turorials. soon the tutorials will start so visit the site from time to time. All Electrical Engineering and Electronics topics.